An internship at Schaeffler does not only offer insights into working life, it brings you into the heart of working life. Working alongside professionals, perfectly mentored from day one. Jan Neidinger (22) is a mechanical engineering master’s student at Karlsruhe Institute for Technology (KIT). 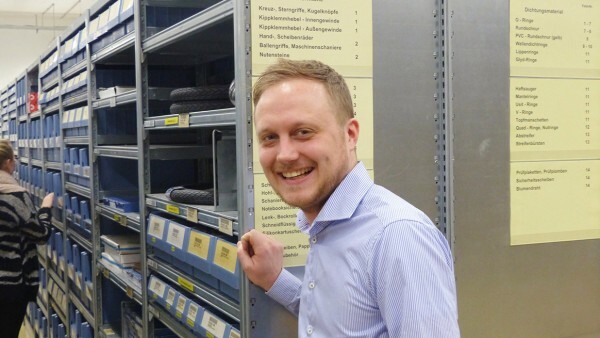 His passion for cars determined his choice of study and led him to Schaeffler in Bühl – to the development and testing department for clutch release systems. Which tasks have you taken on in your department? One of my main tasks is independently carrying out inspections. This involves measuring individual components and carrying out functional inspections on the components, such as leak tests. Microscopic analyses and photographic documentation are also part of this process. I then present the inspection results to our team. Furthermore, I draft, devise, and conduct basic tests. What were your expectations regarding the internship? I wanted to experience working life for myself. At the same time, I wanted to put the knowledge I acquired at university into practice. I also hoped that an internship would help me start a career at Schaeffler later down the line after completing my master’s program. I like the fact that my work is varied. One aspect I particularly like is the independence I have regarding my tasks. I can manage my time independently and plan the approach I wish to take. The close working relationship with other employees is also excellent. This means that even during my internship I can make new professional contacts and many new acquaintances. The working relationship among employees at Schaeffler is very pleasant and collegial, and in some respects informal – this makes work twice as much fun. Yes, they definitely have. The team, in which I mainly worked, integrated me very well and provided me with excellent support throughout my entire internship. My mentor explained the products and tasks to me in detail and helped me become familiar with them. This meant that after a short familiarization period I was able to gradually take on and solve a wide variety of tasks independently. What have you learned from your internship that will help you as you continue your studies and which field do you want to work in later? After my internship, I intend to continue to concentrate intensively on automotive engineering and the field of development. During the internship, I learned that it is important for development and in working life in general, to show initiative when looking for approaches to solutions, to work independently, and at the same time to be prepared to compromise with other colleagues and ideas. I will try to improve these skills in my further studies. I can imagine starting a career in the form of a trainee program. A program like this allows you to train in several departments and to gain experience abroad. Manuel Wiedenmann (31) is studying business information systems management in his first semester at the Otto Friedrich University in Bamberg (Germany). 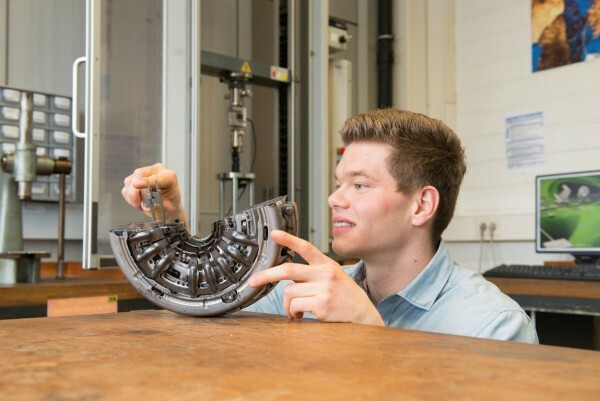 He has already graduated as an industrial engineer and is currently doing a six-month internship in the Gearbox Bearing segment at our location in Schweinfurt. What was the decisive factor for your application to Schaeffler? In addition to the international presence of the company and the attractiveness and quality of its products, the decisive factors were the sustainable processes and the fact that Schaeffler is a family-owned company. There were also a large number of employment opportunities in Lean Management and Industrial Engineering – the two departments that interest me the most. What tasks have you taken on in your department and what were your expectations regarding the internship? I’m responsible for the practical implementation of lean management measures and process improvements. I also carry out subprojects as part of the relocation and installation of manufacturing cells. My expectations were to gain practical experience in a large globally-active company and to expand my knowledge of the automotive sector. In addition, I wanted to broaden my knowledge and get a practical understanding of the link between lean management, industrial engineering and sustainability. My expectations have been met so far, after three months at Schaeffler. In the initial phase, I participated in workshops involving several departments and collaborated on production-related projects. This meant that I had a better understanding of the connections and links between the different areas right from the beginning. Why did you decide to undertake a second course of study? I started a second course of study in business information systems management because it allows me to get a bachelor’s degree as a part-time student. I also get credits for many of the business-related courses from my first degree. Information technology is becoming increasingly important in working life. I can also attend courses that are relevant for my work in order to expand and deepen my knowledge. What have you learned from your internship and in what field do you want to work in later? Because I have already completed my studies, the aspects that are important to me are everyday professional life, organization, experience in project management, long-term and sustainable thinking across departmental boundaries, and technical knowledge. In future, I would like to be involved in the development and manufacturing of products and play a role in this process along the supply chain. And I would be delighted if I could do this at Schaeffler. 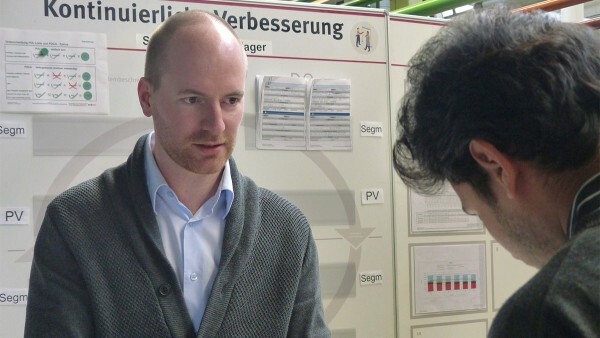 Do you think there are special advantages or events for interns at Schaeffler? You receive a lot of support during the introductory training and have the opportunity to attend vocational training courses. A further advantage is that it is easier to write a final thesis if you have done an internship beforehand. 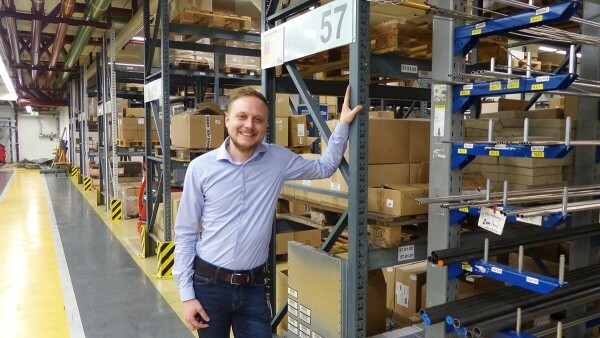 Sebastian Dasenbrock (30) is a master’s student in engineering management with a focus on logistics at the Otto von Guericke University, Magdeburg (Germany). He is currently doing an internship at our Schweinfurt location and will subsequently write his master thesis there. The decisive factors for his application were the “Mobility for tomorrow” strategy, the associated continuous development and improvement of processes, and the attractive job advertisement. What tasks have you taken on in your department? I’m mainly responsible for mapping processes. This means that I examine the main processes by actively assisting with the core operative tasks (e.g. goods inwards, picking according to customer orders, posting the movement of goods) and conduct interviews with those involved in the processes. One of my current tasks is to develop and create an inspection and monitoring matrix for machines that require maintenance. For this purpose, I’m currently programming a user-friendly menu, in which the user can maintain machine master data, print an annual maintenance plan, determine maintenance backlogs and document maintenance data. What were your expectations regarding the internship? Have they been met? Because I’ve almost completed my master’s and this is virtually the last hurdle before starting my working life, I regard this internship as a “final phase of self-discovery”. I would like to take this opportunity to develop my job-related and personal skills in order to enhance my qualifications before completing my studies. My expectations for the internship were firstly that my mentors would trust me to manage my tasks and secondly that they would identify and promote my strengths and be open about areas where they identified potential for improvement. In my opinion, this is the only way to develop further. At this point in time, I would say that my internship has fulfilled all my expectations and I’m very grateful for the opportunity. I have certainly learnt to question things more rigorously, whether it’s for my studies, my future life, presentations or information. In future, I will play a more active role in discussions. I have learnt that in practice it is extremely important to discuss possible solutions. This is the only way can you gain new knowledge and take decisions that put this knowledge into practice. I think that this is a very good way of overcoming challenges and achieving a balance between theory and practice. 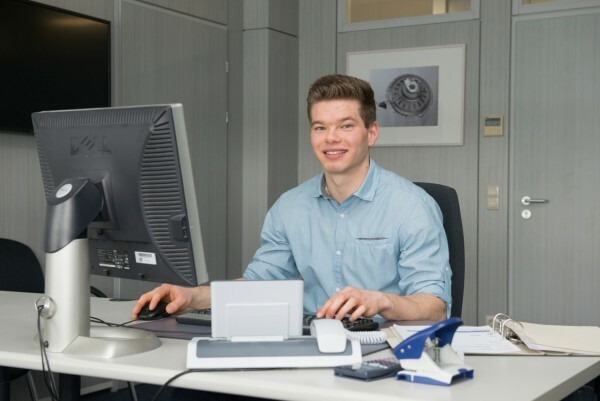 Do you think there are special advantages for interns at Schaeffler? The company offers a large range of vocational training courses for developing job-related and personal skills through the Schaeffler Academy. These opportunities are also open to interns to a certain extent. To sum up, I can say with a clear conscience that Schaeffler offers me very good prospects for development through the internship and the subsequent master thesis. It’s also up to you to decide how much interest you show and whether you play an active role in the department and in the company.